Exchange Spanish Peseta coins and notes. Exchange Peseta coins today. If you have left over Spanish Pesetas then why not change them into a currency that you can use by trying us out here at Cash 4 Coins. We specialise in exchanging Peseta coins back in to Sterling (or any other world currency), so you can now get some value from those previously worthless coins. In fact, we’ll exchange any currency, coins or notes into Sterling – this could be Euro zone currency or worldwide currency. Many people still have old currency from trips abroad and holidays and we still get a lot of people who have Spanish Pesetas. We will happily exchange Peseta coins or notes back into £GBP. Unfortunately you can’t change foreign coins back into Sterling at any UK bank however with our fast and easy service you now can! All you need to do is to post us your Peseta coins (or any currency) and we’ll count and sort it. We’ll then e-mail you a valuation and if you’re happy with this then we’ll pay you directly into your bank account or via PayPal – whichever you prefer. 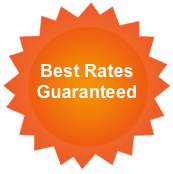 If you don’t accept our valuation then we’ll return your coins at our expense… this is our 100% satisfaction guarantee. We even provide a free collection and drop off service for coins over certain weights. You can see more detail on our page ‘How to send us coins‘. If you have over 10kg of coins to send us we can arrange for a secure courier service to come and pick it up from you. This is a great service and we also have drop off points around the country that you can use for a small fee or completely free if you have 5kg of coins or more. And remember, we do all of the counting and sorting for you saving you the time and effort of arranging that yourself. We know you have better things to do than to sit at home counting out piles of different currencies! So, if you have leftover currency going to waste at home, send it to Cash4Coins. We would be delighted to exchange your peseta coins and give you a fair price. So why not exchange Peseta coins into cash Sterling today! At Cash4Coins we really do make it easier than ever to change up the money that is not being used be it around your home or at your place of work. And if you are a charity organisation we can give you lots of fundraising ideas that will get the foreign coins pouring in. Whether you need to exchange Peseta coins or you have Euros and dollars, we can help you to turn that currency into money in the bank.